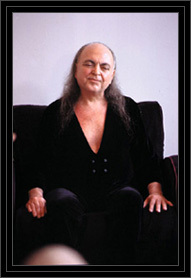 All Adidam practitioners become devotees not because they have decided to take up a new belief system or a set of spiritual techniques, but because they have received a Revelation: they have received the Spiritual Transmission of Avatar Adi Da Samraj. By no means are all Adidam devotees trained public speakers. The devotees of Adi Da Samraj run the full gamut of worldly professions: from computer professionals, to artists, to business owners and employees, to housewives and househusbands. Some are over seventy years old, some are eighteen. Some have just become devotees, while others have been devotees for over thirty years, and, by having "stayed the course" and by having lived it fully, can attest to the virtue of this Way. It may be that if you are, say, a computer professional, you may get more by speaking with a fellow computer professional, than with a trained Adidam speaker or missionary. Better yet: do both! But, whatever you do, do respond to this exceptional Spiritual Opportunity. However it may turn out, your best starting point for getting more familiar with Adidam and Adi Da Samraj (in addition to reading books about Adidam or listening to tapes or CDs) is to contact a devotee in your neighborhood. To help you do this, we've put together a list of contacts, organized by location. We currently do not have any area study groups in Alabama. Please contact our area study group in Orlando, Florida. We currently do not have any area study groups in Alaska. Please contact our area study group in Seattle, Washington. We currently do not have any area study groups in Connecticut. Please contact our area study groups in New York. We currently do not have any area study groups in Delaware. Please contact our area study group in Washington, DC. We currently do not have any area study groups in Georgia. Please contact our area study group in Orlando, Florida. We currently do not have any area study groups in Indiana. Please contact our area study group in Chicago, Illinois, Detroit, Michigan, or Columbus, Ohio. We currently do not have any area study groups in Iowa. Please contact our area study group in Chicago, Illinois, or Madison, Wisconsin. We currently do not have any area study groups in Kentucky. Please drop us a line in Chicago, Illinois, Columbus, Ohio, or Richmond, Virginia. Sat 10:30 a.m. - 4:30 p.m.
We currently do not have any area study groups in Mississippi. Please contact our area study group in Little Rock, Arkansas, or Slidell, Louisiana (Bayou Liberty Area). We currently do not have any area study groups in Missouri. Please contact our area study group in Chicago, Illinois, Little Rock, Arkansas, or Kansas City, Kansas. We currently do not have any area study groups in Montana. Please contact our area study group in Bonner's Ferry, Idaho. We currently do not have any area study groups in Nebraska. Please drop us a line in Denver, Colorado, or Kansas City, Kansas. We currently do not have any area study groups in New Mexico. Please contact our area study group in Payson, Arizona, Denver, Colorado, or Houston, Texas. We currently do not have any area study groups in North Dakota. Please contact our area study group in Madison, Wisconsin. We currently do not have any area study groups in Oklahoma. Please contact our area study group in Kansas City, Kansas, Little Rock, Arkansas, Denver, Colorado, or Houston, Texas. We currently do not have any area study groups in Rhode Island. Please contact our area study group in Boston, Massachusetts. We currently do not have any area study groups in South Carolina. Please contact our area study group in Orlando, Florida, or Richmond, Virginia. We currently do not have any area study groups in South Dakota. Please contact our area study group in Denver, Colorado, Kansas City, Kansas, or Madison, Wisconsin. We currently do not have any area study groups in Tennessee. Please contact our area study group in Little Rock, Arkansas, or Richmond, Virginia. We currently do not have any area study groups in Utah. Please contact our area study group in Reno, Nevada, Denver, Colorado, or Payson, Arizona. We currently do not have any area study groups in Vermont. Please contact our area study group in Hanover, New Hampshire, or Snowville-Eaton, New Hampshire. We currently do not have any area study groups in West Virginia. Please contact our area study group in Columbus, Ohio, State College, Pennsylvania, or Richmond, Virginia. We currently do not have any area study groups in Wyoming. Please contact our area study group in Bonner's Ferry, Idaho, or Denver, Colorado. You can contact our friends in Germany, Great Britain, or The Netherlands. Alle sind Eins. Alle sind gleich. Alle bed�rfen in gleicher Weise des G�ttlichen Mitgef�hls, der G�ttlichen Liebe und des G�ttlichen Segens. Alle sind darauf angewiesen, da� der Faden zum G�ttlichen nicht abrei�t, sondern als direkte Verbindung erfahren werden kann. Alle. Ich Verrichte eine universelle Arbeit. Ich bin hier, um jeden zu empfangen, zu k�ssen und zu umarmen � alles, was in Erscheinung tritt und ist. Alles is Een. Iedereen is hetzelfde. Iedereen heeft op dezelfde manier behoefte aan Goddelijke Compassie, Liefde en Zegening, iedereen wil dat de verbinding met het Goddelijke zeker en waarachtig wordt en rechtstreeks wordt ervaren. Daarom geldt het Bereik van Mijn Werk alle wezens en dingen. Dat is letterlijk zo. Dit is letterlijk hoe Ik Werk. Ik Ben hier om iedereen en alles te ontvangen en te kussen en te omarmen � alwat zich voordoet, al wat bestaat. Books, audiotapes, and videotapes available for sale. ADIDAM STUDY GROUPS meet once a month (or at other regular intervals) with invited guests to enjoy an introductory video and to talk about Adi Da Samraj and Adi Da Samraj's teaching. 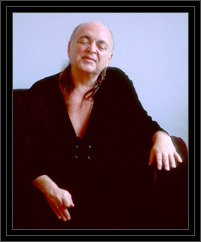 The video includes, among other things, a guided meditation and a talk by Adi Da Samraj. The study groups are intimate and informal, and provide a setting in which you can meet devotees of Adi Da Samraj, learn more about Adi Da Samraj's teaching and the community of Adi Da's devotees, and ask any questions you may have.